Brainstreams.ca is the official website of the The BC Brain Injury Association (BCBIA). We are a non-profit provincial organization in British Columbia serving the interests of the acquired brain injury population. It was founded in 1982 and was incorporated July 6th, 1983. In November 2012, BCBIA and the Pacific Coast Brain Injury Conference Society (PCBICS) joined together to become one organization with a focused and clear purpose to support the province of BC’s brain injury community. BCBIA engaged The Governance Group to help facilitate the merger and to lead the new board through a strategic planning process and active board governance development. The strategic planning and governance development process began in the spring of 2014. We are continually revising, adapting and creating content to ensure British Columbians are informed about the brain and brain injury and have access to the kind of information they require, when they require it. With your continued support and feedback we hope to fulfill an existing gap in the brain injury community. You can view our organization’s constitution and bylaws here. You can view the 2016 AGM minutes, President & Treasurer’s Reports here. Geoff has been working in the field of brain injury for the past 20 years. Presently, he is the Manager of Brain Injury Services with The Cridge Centre for the Family. This program includes a continuum of residential programs, community support clients and several employment training programs for survivors of a brain injury. He served on the steering committee for the Pacific Coast Brain Injury Conference for 15 years. He was the chairperson for Advocacy Plus – a program that trained survivors to advocate for themselves. Geoff has a Masters of Administration from the University of Victoria. As a stereotypical survivor of a brain injury (at 18 years of age he was in a serious car crash that had him in a coma for a number of days; as well he suffered several concussions in athletic pursuits) the field of brain injury is Geoff’s life and passion. As an advocate, supporter or a “whatever it takes” proponent, Geoff’s goal for survivors of a brain injury and there loved ones is your goal – find and develop the best services possible and achieve the best outcomes possible. 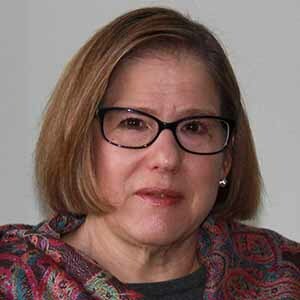 Elizabeth Baron currently works as a speech-language pathologist on the ALS Team at GFS Strong as well as in her private practice. 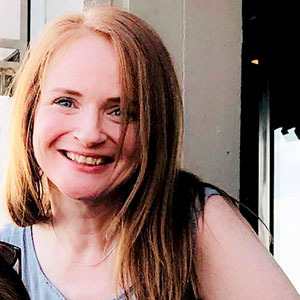 She completed her Bachelor of Arts in English Literature and Linguistics with honors and went on to complete her Masters degree in Speech-Language Pathology at the University of Alberta. Her Masters research was awarded the Isabel Richard Student Paper award. 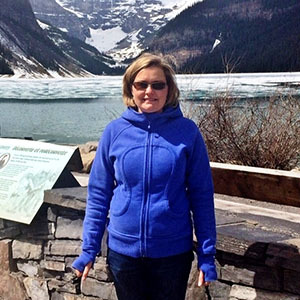 Elizabeth’s first experience with acquired brain injury began at Alberta Hospital Ponoka’s Brain Injury Program. She moved to Vancouver in 1996 and worked for several years on the acute Neurosciences Program at Vancouver General Hospital as well as at UBC Hospital. 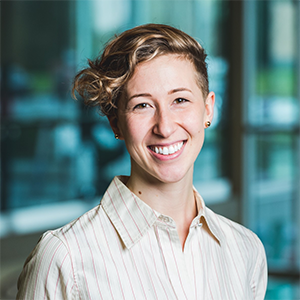 Following this, Elizabeth moved into a Regional Role in Home and Community Care within Vancouver Coastal Health managing the Community Brain Injury Supports programs and working in Specialized Care and Housing. Elizabeth also operates a private practice in speech language pathology specializing in children and adults with acquired brain injury/neurological disorders and communication and/or swallowing difficulties. Elizabeth is a Clinical Assistant Professor in the School of Audiology and Speech Sciences, UBC Faculty of Medicine. Nancy Adams was responsible for the care of a family member with brain injury giving her an understanding of the challenges faced by those of living with brain injury. Her family’s appreciation for the supports received by those within the brain injury community left her with a desire to give back to this community. She is a Chartered Professional Accountant (CPA, CGA) with decades of experience in the financial accounting field. She built and managed a successful accounting practice, then broadened her horizons utilizing her management experience and writing skills in the non-profit environment. She worked with the Rick Hansen Foundation for 6 years, managing grants and donations as well as the finance department. She is now retired and volunteering her time educating not-for-profit organizations to minimize risk through improved financial systems and processes. She has volunteered in the community for many years, primarily with Girl Guides of Canada, holding several positions including Treasurer and the Finance and Grants representative on the Properties Committee of the BC Provincial Council. She also served on other community boards, primarily in the health services sector. Nancy is interested in making a difference and sharing her expertise in any way possible. Originally from Scotland, Juliet grew up in Vancouver and now lives in Langley BC with her husband and two daughters. She holds an undergraduate degree in the humanities and a graduate degree in divinity. Juliet began her professional work as a spiritual care practitioner in neurorehabilitation with older adults. She spent 10 years supporting individuals and families through experiences of grief and loss related to health crises or serious injury (Providence Health, PHSA, and Fraser Health). Juliet experienced a more intimate introduction to brain injury in July 2005 when her first child survived a hypoxic ischemic brain injury due to birth complications. She became a strong advocate for her daughter in the health and education systems, which has led to opportunities to advance inclusive practices in public education. Juliet joined Connect Communities in Langley in 2014. She leads a collaborative team who help persons with acquired brain injury redesign their lives on their own terms. A creative soul with a penchant for stories, she joins the BCBIA with the hope of helping others share their stories of life after brain injury. Patti Flaherty lived in Vancouver, British Columbia, Canada and has worked in the field of brain injury and rehabilitation for 24 years. Before joining CONNECT as Executive Leader in 2007, she was a Senior Operating Officer at Vancouver Coastal Health responsible for the site operations of the GF Strong Rehabilitation Centre. 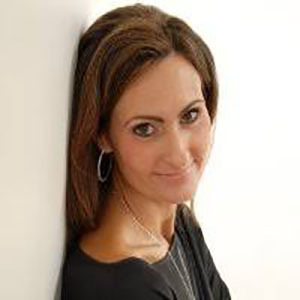 Patti has a degree in physical education, a Master’s of Education and completed the Executive Health Leadership Program at the Rotman School of Management at the University of Toronto. Patti is a founding member of the Interdependence Network. She served as chair for the Pacific Coast Brain Injury Conference Society from 2009 – and was on the steering committee from 1996 – 2005. Patti is an active member of the Canadian College of Health Services Executive since 2005 and has been a mentor for the Executive Mentoring Program for the Canadian College of Health Service Executives. In her downtime, Patti enjoys time with her partner, Roger Lake, and their many friends and family. She enjoys yoga, the outdoors, great music and travelling. She counts her father as one of her greatest mentors. 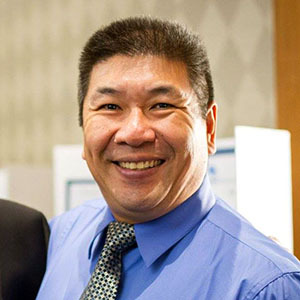 Meet Tony Mok, he is a Brain Injury Survivor. In January of 2009 the lives of Tony Mok and his family changed forever when Tony suffered an unexpected stroke. At the time, he was living a healthy life style, always taking good care of himself by exercising and eating well. Since Tony’s stroke, Tony and his devoted family have had to adjust to a new way of life. With love and support they discovered ways to step up to the challenges of living with the devastating effects of a brain injury. One of Tony’s challenges is dealing with post-stroke fatigue, where even simple things like watching TV or talking to his family and friends takes its toll. Tony continues to fight his way through the challenges that he faces on a daily basis. Tony knows that feeling valued and staying productive are key to survival and has chosen to speak up for others that are living with the effects of a brain injury. Tony lives to advocate for other brain injury survivors and has proven he is a voice for brain injury survivors. 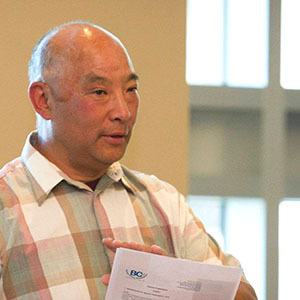 Tony Mok was welcomed to BCBIA as a director of the board in July of 2014. 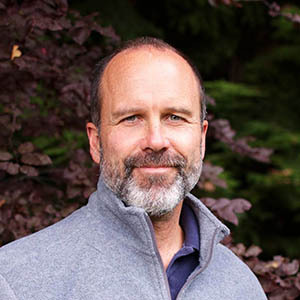 Andrew Harnden is known to have a broad background in the areas of business strategy, systems design, brand strategy, experience design, and information engineering. He has worked with many global organizations including Nintendo, Starbucks, Knowledge Network and HSBC. As a proud Canadian, Andrew also enjoys working with retail-minded Canadian brands that have a vision for creating customer value while pursuing sustainable growth. These local businesses include Lee Valley Tools, Pharmasave, BC Hydro, WCB, Intrawest, and the BC Ferry Corporation. Andrew also takes pleasure in applying his skills by helping a number of organizations. Most recently he shares his skills in working with the 4H, Association for the Children of Mozambique (ASEM), Knowledge Network and the BC Brain Injury Association. Katryna Koenig was born in Squamish, raised in Prince George, and currently resides in Vancouver. She has a passion for Beautiful BC, and for serving her community’s needs. In her leisure time, Katryna enjoys playing guitar, soccer, meditating, making lists and exploring the world with her partner, cat and rabbit. Katryna attended Douglas College’s Therapeutic Recreation Baccalaureate program. During her studies, she worked in undergraduate research and completed program design projects with a variety of non-profit programs. In 2014, she served on the Board of Directors for Douglas College. In her final year she was nominated for the Educational Excellence award, recognizing her academic and community leadership achievements. Katryna has worked alongside brain injury survivors from the start of her career as a Recreation Therapist. She supports survivors through holistic wellness coaching and by delivering therapeutic group programs. Her specialty is program design of therapeutic recreational, skill-building and psychoeducational group programs for brain injury and concussion, including meditation. She currently works for the non-profit, Watson Centre Society for Brain Health in Burnaby. Katryna is exposed every day to the immense variety of survivor stories, struggles, needs and goals. She aims to amplify the voices of survivors and to advance the status of brain injury priorities across BC. Her vision is for all survivors in BC to believe that improvement is always possible (a growth mindset), that you are not alone, help is available, and to know that there is a strong, unified brain injury voice in BC protecting your interests.